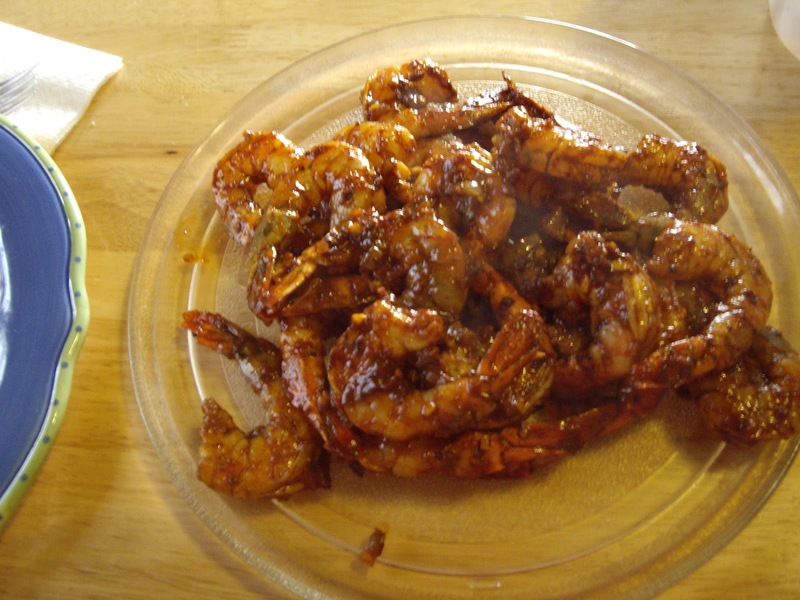 This shrimp is very flavorful. It is spicy. Keep this in mind when making this. I did get this recipe from Rick Bayless’s Mexican Kitchen. This recipe uses Essential Sweet and Smoky Chipotle Seasoning Salsa that I made on day E of the A-Z challenge. You will also be using your broiler. On a griddle or skillet, roast the unpeeled garlic over medium heat. Turn frequently so it doesn’t burn. Once they have softened take them off to cool. They may blacken in spots and that’s OK.
At the same time, lay out the onion on a small piece of foil and set in the skillet. Let it soften and sear. This takes about 5 minutes. Roast the tomatoes on a baking sheet under the broiler for 12 minutes, turning half-way through cooking. Take out of the oven and let cool. Peel and put into a blender. Add the juice too. Add the garlic, onion, cloves, pepper, and water. When hot, add the puree. Stir for a few minutes until the mixtures darkens. Turn down to low and cook until thick, about 5 minutes. One Tablespoon at a time, add the Essential Sweet and Smoky Seasoning Salsa. Taste after each addition before adding more. Turn the heat back up to medium-high and add the shrimp. Stir the shrimp for a few minutes, until the shrimp are done. They will have turned opaque. Taste a shrimp and season with more salt if needed. These may be cooked a few hours ahead and served at room temperature. 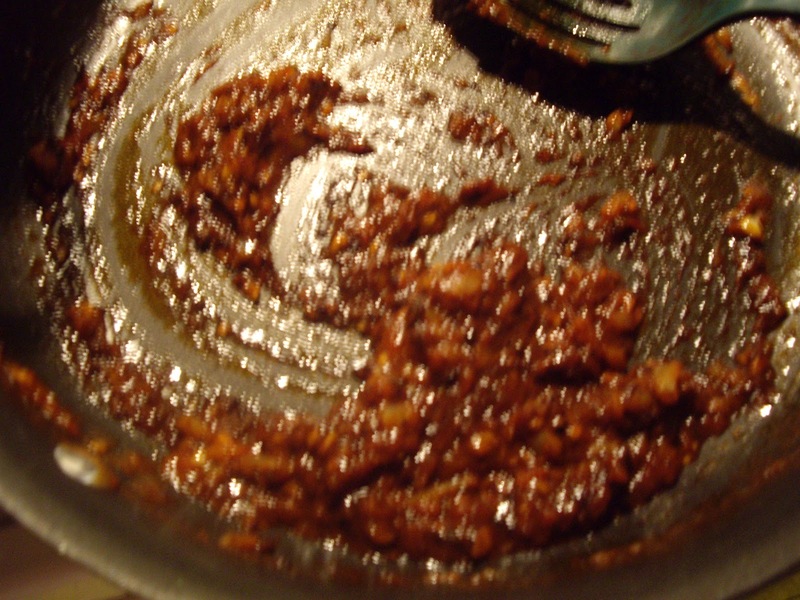 Instead the the seasoning salsa, you can use 2 to 4 Tablespoons of chopped, canned chipotles. I have cut the amount of shrimp in half before and used the same amount of sauce. It works! Wow, this sounds delish! I'm going to check out the chipotle salsa recipe now. My husband will even eat this and he can't eat a lot of hot things. Wow. That actually sounds pretty good! This looks delicious. Can't go wrong with chipotle and shrimp! wow my daughter and husband would be all over this! Lynn, that's nice to hear. DO WANT SOME SHRIMP WITH A KICK? THEN THIS IS YOUR DISH! REALLY GOOD! WILL DEFINATELY OPEN YOUR SINUSES!